There was tough competition at the awards shows this year and Robert Redford didn’t quite make the cut for the Oscars. So what does the acting veteran think of being snubbed? Robert Redford has been in showbiz for years and was tipped to be in the running for an Oscar this year. 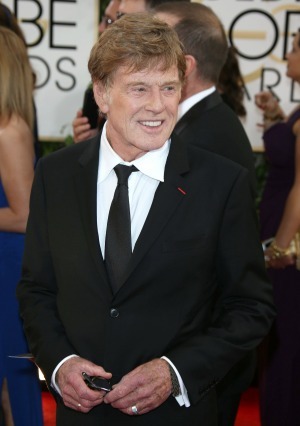 It was widely believed Redford would be nominated for Best Actor in a Leading Role for his outstanding performance in the critically acclaimed film All Is Lost. However, when the Oscar nominations were announced on Thursday by Cheryl Boone Isaacs from Beverly Hills, California, the 77-year-old star’s name was not on the short list. Every actor and actress dreams of being awarded one of the most prestigious awards in Hollywood, and the Academy Awards is deemed to be the most distinguished of them all. However, The Company You Keep actor is not letting himself get upset about missing out on the chance to take home the gold statuette. The acting veteran understands that in Hollywood there often are forces that are out of any actor’s control. Redford is no stranger to the Oscars, though. He previously won an Oscar for Best Director for Ordinary People, and we are sure that in the years to come he will receive yet another accolade.